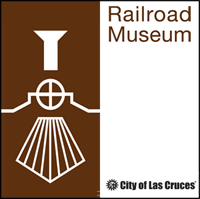 The Las Cruces Railroad Museum hosts Story Time on the third Saturday of each month. Join us on November 16th from 11:00 – 11:30 am. Listen to a Thomas the Tank Engine book, and enjoy a Thomas video while completing a related free craft activity. Children of all ages welcome. The museum is located at 351 N. Mesilla Street, at the intersection of Las Cruces Ave.